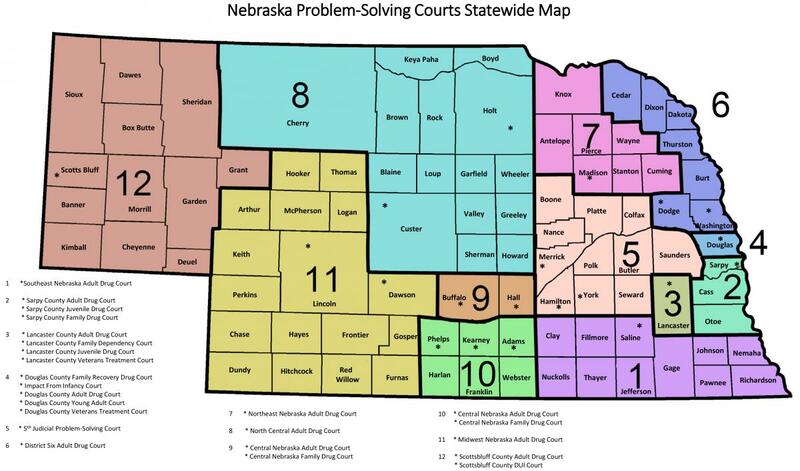 These awards are designed to recognize any type of project or activity that has a positive impact on the administration of justice, that is effective in addressing public needs and enhancing public trust and confidence in the justice system, and that will benefit present and future users of the Nebraska court system. Service to the Community is for a judge who has distinguished himself or herself through performance of service to the community on a volunteer or professional level. Improvement of the Judicial System is given to a judge who has distinguished himself or herself through contributions to the improvement of the judicial system; service as a trial judge; or promotion of judicial efficiency.